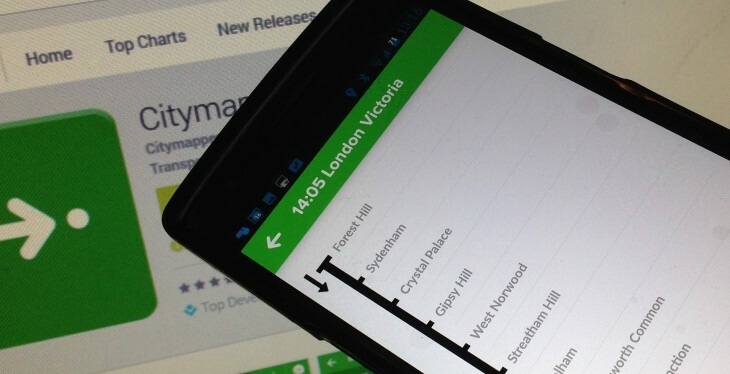 Citymapper, the popular transport app covering London, Paris, Berlin, New York, San Francisco and a handful of other cities, has introduced an interesting new feature to the latest builds of its Android and iOS apps. In addition to a number of design tweaks, Citymapper now lets you click through on the departure board to see all the stops on your bus or train journey, with your current location on it. This will prove particularly useful for routes you’re perhaps less familiar with, as you can see at a glance how many more stops you have to go.